BUT. Every Friday the one week volunteers go on a culture day with Outreach. They visit Las Cureñas, a black pottery cooperative, in the morning, where they learn of the beautiful traditions of making black pottery. The afternoon is spent at Selva Negra, an almost fully sustainable organic shade coffee farm. Selva Negra is a fantastic opportunity to learn more about the Nicaraguan coffee trade. ANYWAY. Carmen and I got to go on this trip our first week here but since then have stayed behind. Which I like because I then get some much needed time with my students. But today, something amazing happened! Not only did I get to eat an extremely traditional lunch of baho (rhymes with WOW which pretty much describes its taste) and a traditional nacatamale dinner, but I got a pleasant surprise when I walked into the coffee shop I frequent and they were having a poetry night! So I got a taste of music, words, and a welcome from the locals of Jinotega and I am so happy that I was able to experience a little culture day of my own. 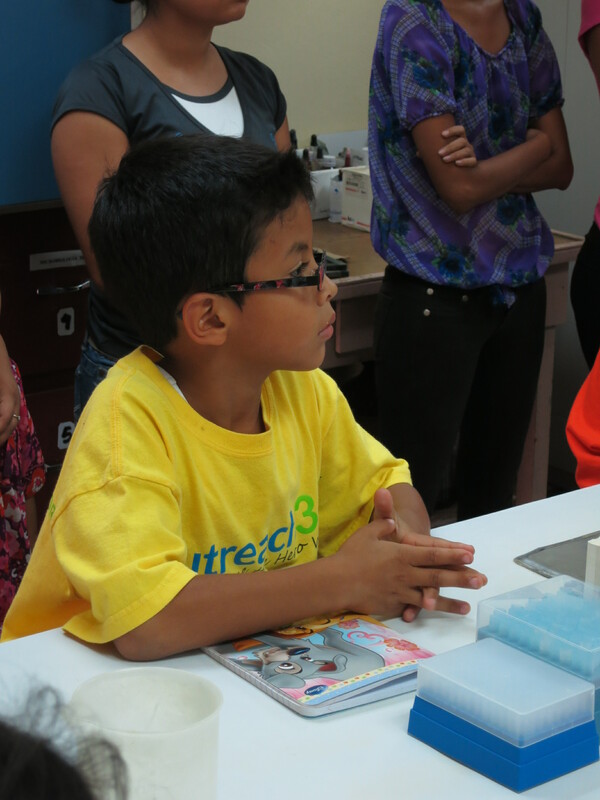 We took the students at our learning center on a field trip to UNAN, a University in Managua and the Managua Zoo. They got to learn tons about the opportunities awaiting them if they continued to work hard in school. Plus, the ZOO! I am so, so happy that I got to share this experience with them. I can honestly say that until I looked at my calendar, oh, three minutes ago, it had yet to click with me that I have already been here for a fourth of my committed time. I only have nine weeks left. Living in this community, with these amazing, beautiful people who see the world for what it is and nothing more, I have already become accustomed to living in the moment. I really did not know what that meant until it just hit me. It is very hard for me to situate myself in any sort of timeline. There is only today. My first week here feels like it was months ago. Tomorrow only feels like an inevitability. I do not necessarily “look forward” to anything in the long-term, because there’s so much short-term stuff going on. Eat breakfast, teach, eat lunch, teach, eat dinner, lesson plan, do it all over again. Each day is a series of tasks that aren’t waiting to be done but are just inevitable parts of my existence. And I think that is extremely beautiful. In America, we lose sense (at least I do) of time. We are always waiting for the “next step.” Finish school, go to college, get a job, get married, etc. etc. Life becomes a checklist. And in a society living by a to-do list, we lose sight of the beauty in life; the unexpected surprises become hindrances instead of celebrations. When I only worry about the moment I’m living in, I’m forced to really appreciate each moment for what it is. I have had three weeks of sometimes tiring, sometimes EXHAUSTING, sometimes maddening minutes. But if it weren’t for the tiring, exhausting, maddening minutes pushing along the day, the victories, the break-throughs, and the down-right adorable/beautiful/fantastic moments would fly right by. I love not living my life as a to-do list. I love being here and not worrying about what I’ll do when I return to the states because I’m not there right now. I am here and I am damned determined to make my time here count. Today, for orientation, we improvised a bit of a poetry circle to introduce and discuss Outreach360s ten principles (found here). Margo (one of our fabulous team leaders) had us each pick a principle and write a haiku about it. Now, I love haiku and therefore I’d like to debut mine on here. I understand that in no way am I a good poet and I do also know that haiku are not technically limited to 5-7-5 syllables and they are generally used to convey ideas in one, short phrase. Bear with me! I have 10 weeks left here in Jinotega (time has flown by so quickly) and I will try to do one larger post each of my remaining weeks on one of the principles, but this will be my short and sweet introduction to each of them via haiku! Pat yourself on the back, now. Here for. They come first. They are yours to choose. Hey! I decided to re-write this since I have time. When I was in Spain, every blog post had a Spanish title. To sort of distinguish which of my blog posts are on my time in Nicaragua versus which posts are just about life or creativity or musings, etc., I will title my posts about Nica in Spanish. This one will be a recurring one! “Impresiónes impresionantes” basically means “impressive impressions,” and I will be giving little blurbs of my top moments of the past week, just to show you some of the little treasures I get each week. Without further ado, I give you my Impresiónes impresionantes! Getting here. It seems so simple, but the fact that I actually got here without any snafus in my travel was a miracle on its own. My ride from Managua to Jinotega was very quiet; my driver is apparently a rather reserved individual and I wasn’t ready to forcibly engage him in Spanish conversation. I got to read about 100 pages of my Stephen King book, so that was nice. I probably could have read more but my time was interspersed with staring around at the gorgeous landscape here. Meeting my roommate. I seriously dig Carmen. You can actually follow her blog posts here. The kids from Charleston Day School. Holy goodness. We had our ups and downs, the downs being that “cleaning up” after themselves did not exist as a concept in their minds, but the ups were way more important and impression-leaving. They jumped right in and did a great job lesson planning and working with the students. Outside of teaching, they were some of the funniest and charming kids I’ve met in a long time. They definitely reminded me of why I loved student teaching in an 8th grade classroom so much. I had a great time getting to know the 8th and 9th grade students, as well as their fantastic teachers Tami and Michael. They were a great start to my time in Nica. The fact that the children LOVE to say yes to me. Just because they pronounce the “y” like a “j” and so I always get “jes, teacher Jess!” They’re so silly. Jolfreth, one of our more shy students, not only knew my name but said hi to me on the street today!! I also got a high-five from Byron, who we went to go see play baseball this morning. :] The fact that the students have already begun warming up to me just melts my heart. They are so great. Euchre with Ross, Cameron, and Tami. Two of the boys from CDS and their chaperon. So much fun!! I wish we would have played earlier in the week so Carmen would have had time to learn it better. But there are 7 more weeks for me to teach her how to play like a true midwesterner. The Lego Movie. Since I’ve gotten here, leader Krystina has been singing the dang “Everything is Awesome” song from this movie. I have hated her a little bit for getting it stuck in my head out-of-context. But tonight I experienced the glory that is the Lego Movie. It made me laugh so much. Bwahahaha! Margo (another team Leader) let me borrow a book on an amazing woman. Her autobiography also gives me a glimpse at the very deep, and very recent, history of Nicaragua. I’ve already read about 70 pages of it. Super stoked about finishing it and voraciously devouring the next one! I think that’s it for this week. Until next time! Man. Just. I just love how gorgeous it is here. I had a relatively long and involved post, but then my computer decided to hate me. Maybe I’ll re-write it. Maybe you’ll just miss out on it! Time has passed so quickly. I can’t believe I’ve already been here for a whole week! 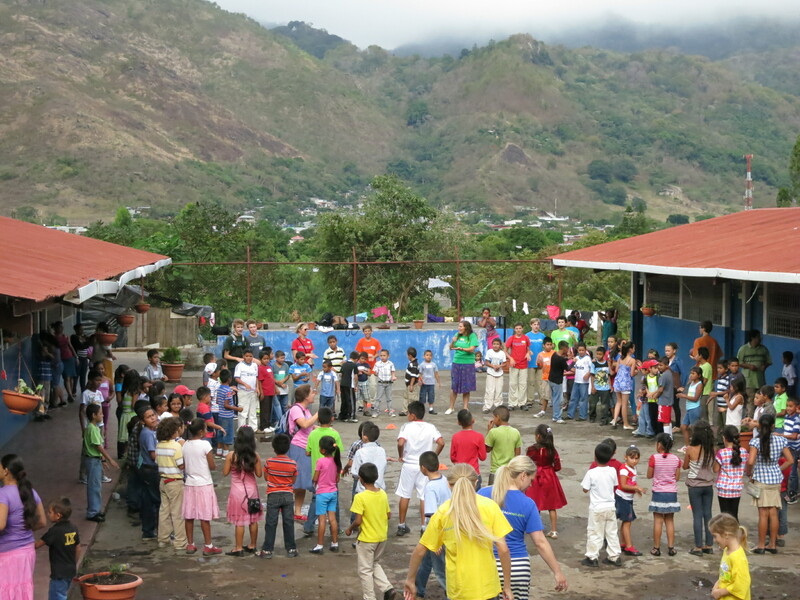 It is nearing the end of day 3 here in Jinotega, and boy have I already done so much. It seems amazing to me that I get the privilege of teaching these children for 3 whole months. So. Here’s a breakdown of what has happened so far and what is expected to come. I met my roommate! Her name is Carmen and she’s volunteering for 8 weeks. She’s freaking lovely. Very shy and extremely kind. I’m pretty stoked that I get to live with her. We seem to balance each other out pretty much. She’s in university to be a teacher so it’s pretty cool that she has lots of teaching experience, while I’m pretty good at bursting through personal bubbles and will be able to help facilitate group interactions with ice breakers and such. I am absolutely in love with this city. To see the amazing mountains and surrounding countryside is so humbling. I feel so at peace with the world around me every time I see the beautiful skyline. The people are so kind, the children are so loving and eager, and everything is basically awesome. I had a talk with my superior (I guess you could call her that. She’s the staff member that takes care of the interns) about the expectations the program has of Carmen and I and the expectations Carmen and I have about the program. That was extremely relieving. I’ve been in this weird responsibility limbo, not knowing what my authority is and what not. I got keys, so I can come and go as I please (within reason). I have an in-country phone so they can call me and I can call them, for emergencies and just in general. All of this is cool. All of this makes me feel like I’m an extension of the staff, which they said I am. But also, I am treated as a volunteer most of the time so I have yet to figure out exactly where I fall. That’s okay, though. We’ll just ride it out. There was a pretty large issue with one of the individual volunteers not being able to abide by the very simple and clear rules enforced by Outreach360. I have been surprised and impressed with how Outreach has responded and how well they protect their reputation within Jinotega. I have again been reminded of why I signed on with this program and why I am so excited to serve with them. That’s roughly it. Currently I’m volunteering with a small-ish group of 8th and 9th graders who attend Charleston Day School in South Carolina. They’re reminding me why I originally wanted to teach middle school; they are very funny but also extremely eager to learn and please. Except they sort of have an issue when it comes to cleaning up after themselves. I feel like these 3 months are going to be great practice at parenthood. I have officially become totally okay with the fact that I will be here, with these incredible children and this incredible program, for 81 more days. I love this. Will keep you posted on the certainty of this statement.